With the advancement of high quality printers over the last 20 years or so, the counterfeit document industry has spread in record numbers. 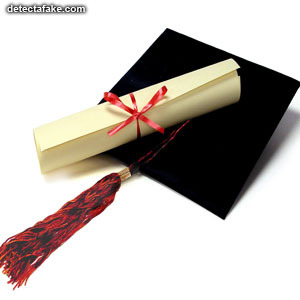 "Diploma mills", also known as "Degree Mills" have become a world wide problem. 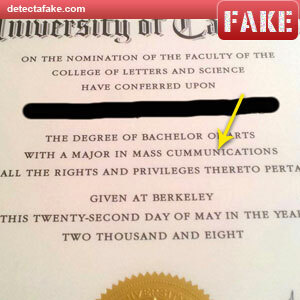 Follow the steps below to spot a fake diploma. First of all, look at the name of the college. Most of the degree mills use official sounding names but they are not actual institutions. You can verify the name by simple searching the internet for that name. If you do get results for that name, make sure the address on the search results (for that college), matches with the address on the document. If you can't verify the name, it's obviously a fake. Next, make sure the diploma has an embossed seal on it. 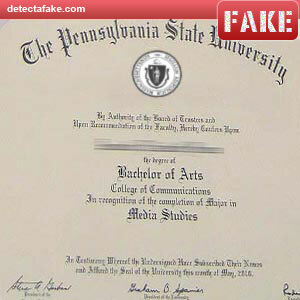 The picture on the left shows a fake diploma that does not come with a seal. 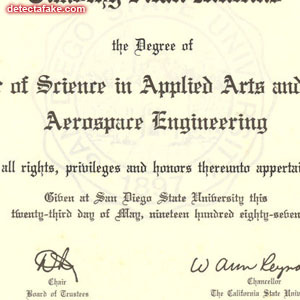 Some of the fake diplomas do have an embossed seal. 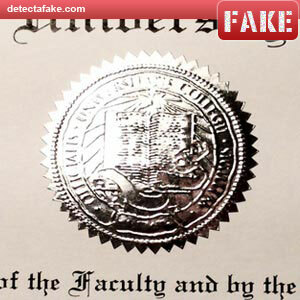 The picture on the right shows a fake diploma with an official looking seal. Do don't assume it's real if you do see the seal, complete the steps. Next, look at the signatures. 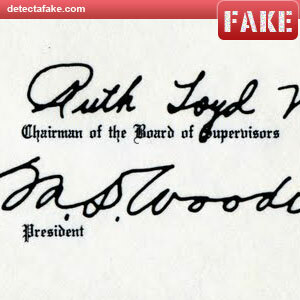 Each signature should be actual ink and not a printed signature. You should see slight indents in the paper and trailing edges that don't end abruptly. Next, inspect the entire document for spelling errors. A real diploma will never have a spelling issue like the one in the picture above. Next, look for watermarks. 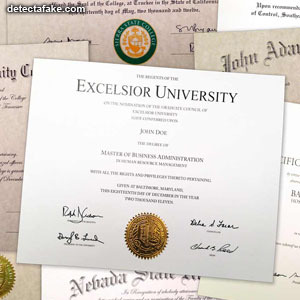 Most major universities use hologram watermarks on their diplomas that are only visible if they are held in front of a bright light.